Lion Bob was born in Hanna, Alberta then moved to Edmonton at an early age and did all his schooling in there. Upon completion of school Lion Bob went to work in the Oil Patch. After 6 years of this he decided that this was not his future and started an apprenticeship as an Electrician in 1964. Lion Bob moved to Inuvik Northwest Territories in 1966 and worked for the Department of Indian Affairs until 1976. He left the North and returned to Edmonton were he continued work as a Construction Electrician. The call of the north beckoned again and he returned in 1986 to work for Northwestel. Lion Bob retired in 2001 and returned to Alberta. 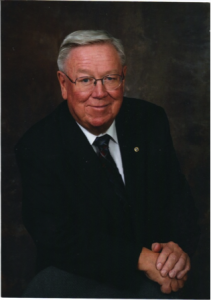 Lion Bob joined the Vimy and District Lions Club in 2005.He has served on the board of Directors, served as Vice President, President, 6 terms as Secretary and 5 terms as Treasurer. Lion Bob has also served 3 terms as Zone 3a Chair. He was awarded Lion of the year, is a Melvin Jones Fellow and has received a Club Excellence Award. In the 2011-2012 Lions year he received the Zone Chair Membership Growth Award for all of MD 37. Lion Bob successfully completed the Senior Lions Leadership Training in Chicago in 2013 and 2 DGE training schools. Lion Bob has attended many District and Multiple District Conventions. He was a member of the MD37 Finance committee. Lion Bob was a moderator at the USA/ Canada Forum in Overland Park, Kansas. Lion Bob has been a member of the International Brotherhood of Electrical Workers for 43 years and serves as Past Chairman of their Retirees Club. Lion Bob likes camping, farming, driving and being a Lion. Lion Bob is married to Patti. He brought 2 sons and 2 daughters to the marriage. He is now the proud grandparent of 5 granddaughters and 1 grandson, 3 great granddaughters and 2 great grandsons. My deepest thanks and appreciation to the Lions of MD C for the confidence extended to me with my election as the MDC Vice Council Chairperson for the Lionistic year 2018-2019. 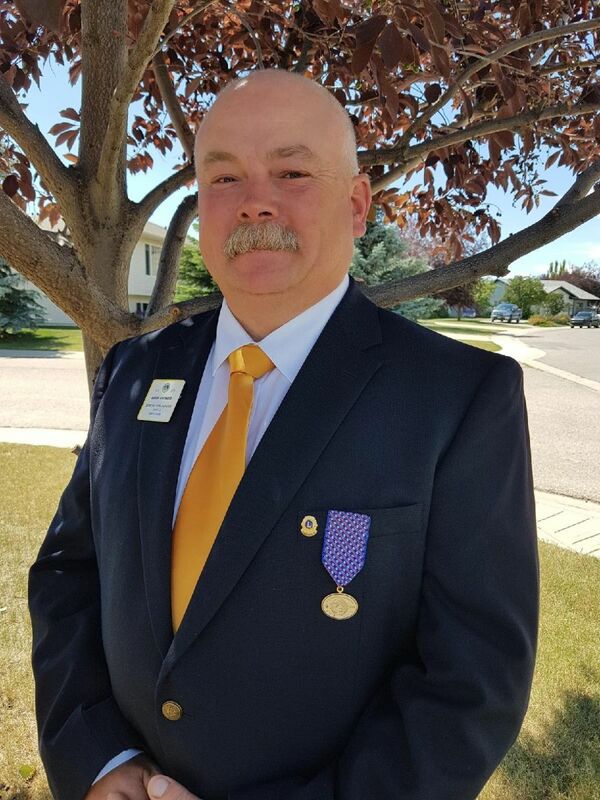 I’ve been a Lion for more than 20 years, starting in the Cardston Lions Club, and am currently a member of the Lethbridge West Lethbridge Lions Club. My life of service began officially with 27 years in the Canadian Armed Forces and I am proud to continue to serve as a member of Lions Clubs International. I read a quote the other day that strikes a chord with me: Ask yourself, “Can I give more?” The answer is usually “Yes”. I asked that question - I believe I still have much to offer the Lions of MD C and appreciate the opportunity to prove my worth to you as Vice Council Chairperson for MD C for the Lionistic Year 2018-2019. I have been honoured in recognition with Presidential Medals and Certificates, various Fellowships including the Progressive Melvin Jones Fellow. I was also given the great honour to have been elected as the District C-2 candidate for Vice Council Chairperson. Ours is an association of service and the manner in which the service is rendered is fully as important as the service itself. We should expect honest and ethical conduct from everyone – and this conduct is defined by the 4 core values that serve as the foundation for our Ethical Standards. – Integrity, Accountability, Teamwork and Excellence. The VCC has a different set of goals from those of the District Governors – they are more personal because part of the job of the Vice Council Chairperson is to facilitate the business of the Multiple District so that the District Governors can concentrate on achieving their goals and serving their Districts. In terms of visibility, the VCC may be seen to be in the front of the room- at the head table – but the reality is that the most important work is in the background. It would be MY job as VCC to safeguard the interests and financial well-being of all the Lions in our Multiple District – and to do it to the best of my ability in accordance with our Association’s Ethical Standards. Another favourite quote is something that I will think about every day in my role as Vice Council Chair: “Am I doing justice to the position I hold?” If you don’t think I am – TELL ME!! Together WE SERVE – and as your Vice Council Chairperson, I will do my very best to SERVE by supporting and promoting the interests and well-being of the Lions in MDC. Lion Frances was born in Surrey, England and immigrated to Canada in 1973, and is a semi-retired Financial Consultant. Joined the Vegreville Lions in 2009, positions served - Club President, Treasurer, Tail Twister, and Secretary. Project and Fundraising Committee Chair for the Vegreville Lions Community Playground and Spray Park, which raised over $2.5 million 2010-2017. Lion Frances served as District Secretary 2013-2016, is a Certified Guiding Lion, attended Regional and Advanced Lions Leadership Institutes, and is a Faculty Development Institute graduate. Lions Awards – Melvin Jones, Judge Brian Stevenson Fellowship, and Dr. Patti Hill Fellowship. Lion Terry was born and raised in B.C. She relocated to Alberta in 1982 when her husband received a job offer he couldn't refuse. To this day, they both say it was one of the best decisions they ever made. After several years of helping Roger in his business as well as a short stint in real estate, Lion Terry joined Shell Canada and spent the next 24 years as a manager and retailer in their network. She also worked as a contract trainer for new retailers as well as the occasional stint doing forensic operations and bookkeeping analysis for Shell. In 1997, she joined the Edmonton Host Lions Club just to help out. Since joining, she has served as a club director, vice president, president, secretary, treasurer as well as chair of the Lions Dream Home project. At the District level, she has served as Cabinet Secretary, Leader Dog Chair, Youth Chair and is currently serving as LFC Chair for the second year. She has helped with club officer training for several years and firmly believes that you can always learn more, regardless of how many times you go. She has attended Lions Leadership Institute and is a Certified Guiding Lion. Lion Terry has attended District Conventions every year since joining Lions and most of the MD Conventions, business permitting. She has also attended 11 Canada/USA Leadership Forums and 6 International Conventions. She is a Melvin Jones Fellow, Jack and Denise Isaman Fellow, and a Dr. Patti Hill Fellow. She has received a District Governors Certificate of Appreciation, a Certificate of Excellence (Secretary) and an Extension Award for helping to start a new club. Lion Terry is also active in the Central Lions Seniors Association and is the Past Chair of that organization. She served for six years on the Board of Safe and Caring Schools and Communities, an organization that was founded by the Lions and the Alberta Teachers Association working in partnership with other interested community groups. She served as a member of the provincial task force charged with reviewing the Blind Person's Rights Act and recommending changes to improve the protection of the rights of our blind and visually impaired citizens. Now that she and her husband, PDG Roger, have retired, they look forward to many more years of service to their clubs and their community. Lion Tyler was born and raised in Montreal, Quebec. In 1975 he joined the RCMP and completed his training in Regina, Saskatchewan. His first posting was Ottawa, Ontario where he was involved with duties related to the Montreal Olympics. In 1976 he transferred to Red Deer, Alberta. His postings included Red Deer, Sylvan Lake, Mannville, Calgary Immigration & Passport, Slave Lake, Morinville, and Turner Valley, Alberta. In 2007 he retired after 32 years of service. His last post was that of Detachment Commander, Sergeant, in Turner Valley ,Alberta. Along the way he met and married, Diane, his wife of Forty Years. They have three children and three Grand Children. Lion Tyler first joined Lions in 1986-89 in Mannville, Alberta. He held several positions including that of Club Treasurer. In 2004, Lion Tyler joined the Foothills Lions Club, and held several positions in the club executive including club president 2007-2008 and again in 2013-2014. He was also the club trail twister in 2009. He has sponsored two new Lions to date. Lion Tyler was the Zone Chairperson for Zone 2a in MD 37-0 for 2014-2015. He was the Zone Chairperson for Zone 3a in District C-2 for 2015-2016. Lion Tyler is also the current Chairperson for the Lions Youth Camp (2015-2016) and has been appointed Chairperson for 2016-17. Lion Tyler attended and completed the Lions advanced Leadership Training Course held in Calgary, Alberta in 2015. He also completed the Guiding Lions Training in February 2015. In recognition of Lion Tyler`s service he has received a Melvin Jones Fellow, a Lion Lionel Bird Youth Camp Award, a Judge Brian Stevenson Fellowship, and a International Lions President recognition certificate, along with many club and District recognition certificates. In 2007-2010 Lion Tyler was elected as a Town Councillor for the Town of Black Diamond, Alberta. In recognition of Lion Tyler’s accomplishments, he was awarded Citizen of the Year in Slave Lake, Alberta in 2000. Also in 2000 he received from the Government of Alberta, an award in recognition for twenty five years of policing in Alberta. In 2002 Lion Tyler received the Queen`s Golden Jubilee Medal for his many years of volunteering in Alberta. In 2005, Lion Tyler was awarded the Government of Alberta Centennial medal honouring Outstanding Albertans. Born in Lethbridge AB. Raised in Cowley AB. I Attended Livingstone School, following that byattending the University of Lethbridge. During the summer months I worked for my father in thefamily business Johnson Bros. Sawmills. In May of 1990 I married Luciana Paladino, who also attended the University of Lethbridgegraduating with a Degree in Education. Lion Lucy has recently retired from teaching high school, but isgiving back to her profession by supervising education students at the University of Lethbridge. 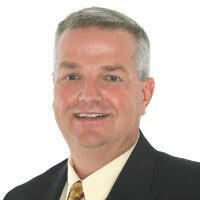 I have worked for 31 year as an Financial Advisor for Sun Life Financial, it is a great career. I enjoygoing to work everyday. My career has also allowed me the time to do many other volunteer and leisure activities, such as Curling and Golf. I joined Lions in January of 1990, and have served its many of the Club Offices and District Officers. Most recently I was the LICF MD Coordinator for MD C. To quote our Lions Pledge, “I am Proud to be a Lion dedicated to the service of others." Lion Dustin was born in Calgary, Alberta. He spent his early childhood in Okotoks until his family moved to Nanton in 1978. He still resides in Nanton with his wife, Brenda, and their three sons, Morgan, Trey and Dallon. After working as a Journeyman Automotive Technician for a few years, he hired on with Canadian Pacific Railway in 1994 as a Trainman, and later became a Conductor and an Engineer. Lion Dustin has been involved with many local organizations for many years in Nanton, both as a participant and a volunteer. These include the Nanton Volunteer Fire Department and Ambulance Service, J.T. Foster School Queen's Ball Program, Nanton Night Rodeo, Pine Coulee Bow Benders, Willow Creek Junior Dancers, Nanton Minor Hockey, Nanton Minor Ball and Nanton Minor Lacrosse. Lion Dustin is also a certified instructor of the Canadian Firearms Safety Course as well as the Alberta Hunter Education Program. Following in the footsteps of his grandfather, father and uncle, Lion Dustin joined the Nanton and District Lions Club in December of 2001. He has held many club officer positions including serving as President a total five times between 2005 and 2014, has been Club Membership Chairperson since 2011 and Skatepark Chairperson from 2010 to 2015. Lion Dustin, at the District Level, has served as Zone Chairperson for Multiple District 37-0 and Multiple District C-2. In 2010, with the goal of engaging the youth, Lion Dustin organized the charter of the Nanton & District LEO Club. The club grew very quickly, increasing from eight members to twenty-two in just over two years. Lion Dustin was key in establishing the LEO Clubs status as a society in 2017. Lion Dustin has attended the Club Officer Training in Strathmore multiple times. In March of 2017, he became a certified Guiding Lion. In April 2017, Lion Dustin completed the MDC Regional Lions Leadership Institute program. In recognition of Lion Dustin's distinguished achievements, he received the International President's Certificate of Appreciation at the MDC Convention in May of 2017. At the MDC convention in May of 2018, he received the International President's recognition of Distinguished Leadership medal. The Nanton JT Foster High school presented Dustin and his wife the Volunteer Of The Year award in both 2017 and 2018. "Having fun is a fantastic way to motivate and inspire confidence and sustainability within our LION/LEO Clubs." Lion Betty Ann was born and raised in Bassano, Alberta. She received all her schooling there and was active with 4-H, Girl Guides and the church choir. In 1977, she joined the Brooks Lioness Club as a chartered member. In 1981 she moved to Drumheller and again helped to charter a Lioness club. In 1989, Rick was transferred north and they settled in Beaverlodge. Lion Betty Ann joined the Trumpeter Lioness club in Grande Prairie. In 1992, the club chartered as a Lions Club. In April 2000 she transferred to the Wembley & District Lions club. 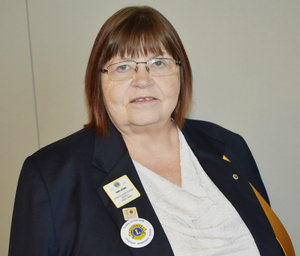 With the folding of that club in 2009, Lion Betty Ann joined the Grande Prairie Lions club, where she is currently the secretary. Lion Betty Ann has held all club positions, some many times over. 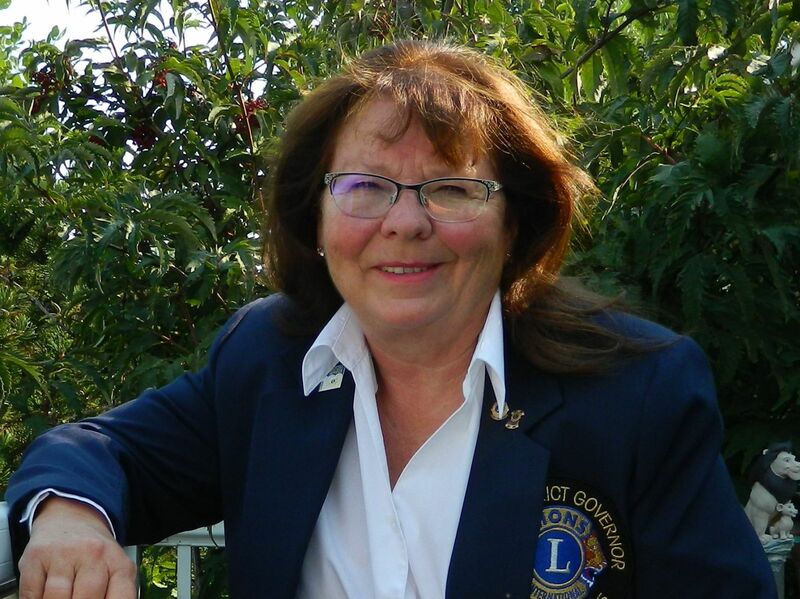 Lion Betty Ann and her family are very active with the Youth Exchange program, hosting over 34 students, as well as her work as Northern Alberta Lions International Youth camp as director. 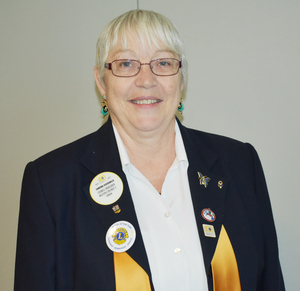 Lion Betty Ann served as District Governor 2002-2003 and again 2010-2011. Lion Betty Ann has recently retired as a Licensed Practical nurse, working on a pediatrics/neonatal care unit at the QE II Hospital in Grande Prairie for 31 years. Lion Betty Ann has numerous awards and fellowships, an International President’s Medal and recently an International President’s Leadership Medal. Lion Betty Ann has 40 years perfect attendance. Lion Betty Ann has attended many USA/Canada forums, International Conventions and one Europa Forum in Romania. She has also participated in a Regional Lions Leadership Institute, Faculty Development Institute and a Faculty Development Excellence Series. Lion Betty is currently the MDC Global Leadership Coordinator. Lion Betty Ann has three children, six grandchildren and two great grandchildren. In her spare time she enjoys working with STARS, travelling, big game hunting and spending time with her family. I have served as fundraising Chair, Membership Chair, Vice President, Club President, Chair Stampede Parade & Breakfast, Public Relations Committee and Assistant to the Casino Treasurer. Most of my career has been spent in the accounting field , banking and the customs clearance field. I am happily married to PDG John Goodrich , we have 4 children, 11 grandchildren, and 2 great grandchildren. Our best days are spent with the family camping, teaching the grandchildren, working at the campground and golfing. I have received numerous awards thru Lions and I am proud of each one. I love to volunteer and make our community a better place to live in and reach out and help people in need. It is an honour to attend training for Lions such as the Alli and ELLI to learn how to be an amazing asset to Lions. The best part is to be able to go to Forums and Conventions to renew your belief by meeting people who give you the spirit and confidence to do our job as a Lion 100% all the time. 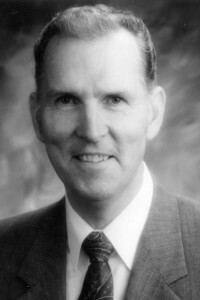 Judge Brian Stevenson, of Calgary, Alberta, Canada, was elected to serve as president of The International Association of Lions Clubs following his election at the association's 70th International Convention, held in Taipei, Taiwan, Republic of China, July 1-4, 1987. Past President Stevenson has served in private law practice and as a special prosecutor in the Canadian Department of Justice. In 1974, he was appointed for life as a Judge to the Provincial Court of Alberta. He recently retired as Assistant Chief Judge of the Criminal Division of that court in Calgary. A Lion since 1966 and currently a member of the Calgary (Northeast Eyeopener) Lions Club, Past President Stevenson has held numerous offices in the association. These include terms as district governor, a member of the association's board of directors from 1977-79 and as a presidential appointee to the international board from 1979-81 and again from 1998-1999. He also served a three-year term as the chairperson of Campaign SightFirst, one of the largest and most successful fundraising campaigns in the history of the association. 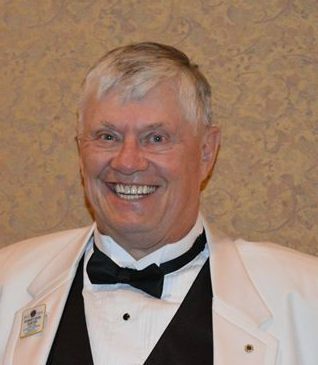 In recognition of his many contributions to the association, Past President Stevenson has received numerous awards including the 100% District Governor Award, the Membership Advancement Key, 18 International President's Awards and the Ambassador of Good Will Award, the highest honor granted by the association to its members. He is also a Progressive Melvin Jones Fellow. In addition to his work as a Lion, Past President Stevenson has served as president of the Calgary Social Planning Council, as a board member of the Calgary United Way and as a member of the City of Calgary Social Services Committee. He has also served as president of the Alberta Provincial Judges Association and as chairperson of the International Year of Disabled Persons Committee for the Province of Alberta. In 1996, the City of Calgary recognized his numerous voluntary contributions by awarding him the Grant MacEwan Lifetime Achievement Award of Merit. Past President Stevenson is a member of numerous professional organizations and has authored a number of articles on legal matters. He and his wife, Patricia, have four daughters, eight granddaughters and two grandsons. Dr. Patricia Hill from Edmonton, Alberta, Canada, was elected to serve a two-year term as a director of The International Association of Lions Clubs at the association’s 90th International Convention, held in Chicago, Illinois, USA, July 2-6, 2007. PID Hill is a psychologist. 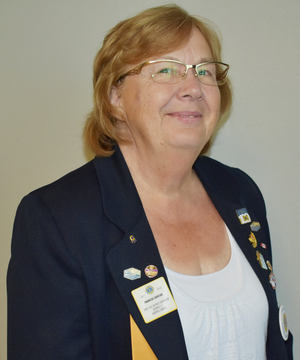 A member of the Edmonton Host Lions Club since 1990, Director Hill has held many offices within the association, including club president, zone chairperson, district governor and council chairperson. She also served as district chairperson for Membership, Environment, Convention and International Cooperation and Understanding. Additionally she has served as a committee member for the USA/Canada Lions Leadership Forum, multinational coordinator for Campaign SightFirst II, secretary for Lions Eyebank (Alberta) Society, director of the Lions Eye Research Institute of Northern Alberta and presenter and multiple forums and conventions. In recognition of her service to the association, Director Hill has received numerous awards, including multiple Club President’s Appreciation Awards, District Lion of the Year, an Extension Award, induction to the Multiple District 37 Hall of Fame, several District Governor’s Certificates of Appreciation, five International President’s Certificates of Appreciation and an International President’s Medal. She is also a Judge Brian Stevenson Fellow, Denise and Jack Isaman Fellow and a Melvin Jones Fellow. n addition to her Lions activities, PID Hill is active in numerous professional and community organizations. She is a member of the Psychologists Association of Alberta, the Canadian Psychological Association and the Community League. 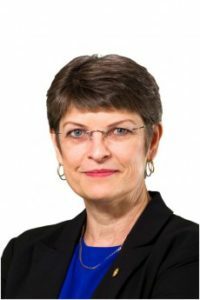 In the past, she served as president of the Alberta Association of Psychologists and the Association of Canadian Educators of the Hearing Impaired. PID Hill and her husband, Gregory Holmes, also a Lion, have two children. Bill W. Webber, of St. Albert, Alberta, Canada, was elected to serve a two-year term as a director of The International Association of Lions Clubs at the association's 72nd annual convention, held in Miami/Miami Beach, Florida, USA, June 21-24, 1989. Past Director Webber is a retired district manager of a utility company. A Lion and member of the St. Albert Host Lions Club since 1964, Past Director Webber has held the positions of club president, district governor and council chair. He serves as a director and vice chair of Lions Quest Canada, as coordinator of Lions Project Pride, and director and past chair of his multiple district eye bank. He also served as a national coordinator for Campaign SightFirst. 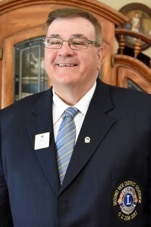 For his contributions to the association, Past Director Webber has received the 100% District Governor Award, six International Certificates of Appreciation, eight International President's Awards and the Ambassador of Good Will Award, the highest honor granted by the association to its members. He is a progressive Melvin Jones Fellow. Active in the community, Past Director Webber has served on the Edmonton Emergency Planning Committee, the Canadian Gas Association Customer Service Committee and the St. Albert Board of Education. Past Director Webber and his wife, Joan, also a progressive Melvin Jones Fellow, have two daughters, two sons and six grandchildren.